Maybe it’s not just me and there’s another retro fanatic reading out there who’s heard the name Lunar Battle before. In fact this old space arcade game was released by Atari in 1982. 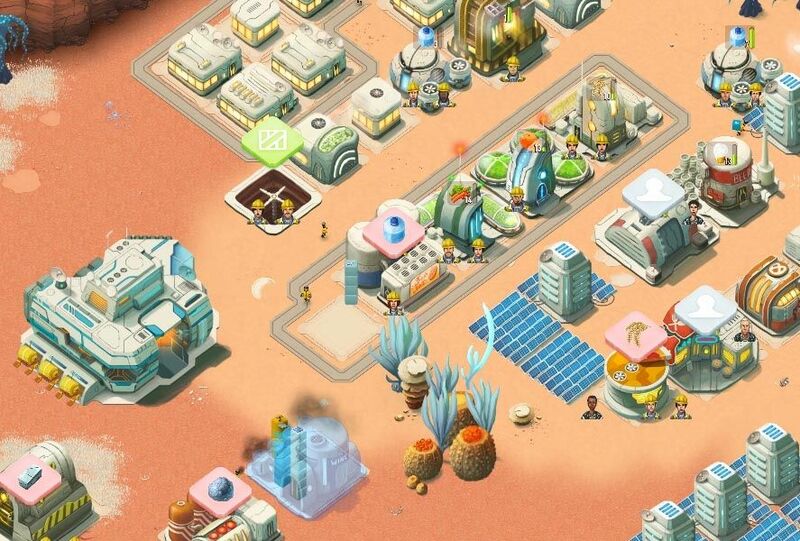 As there’s no such thing as bad intellectual property, the name has been reused by the company to release this interesting space strategy and combat title for Android, with its main appeal being the possibility of building a huge space colony while improving your fleet of ships to wage battle against other players. Passive strategy and resource management with hints of real-time combat are our daily bread among Android games these days, in part thanks to the hegemony of Clash of Clans and its hundreds of variants, clones, and spinoffs. In this case, sieges of enemy cities have been swapped for battles between ships whose weaponry and defenses you can customize and upgrade. It retains the building-construction system with waits that can be reduced if you pay real money, in line with the prevailing business model for this genre. Lunar Battle is visually attractive and delightful at the audio level thanks to its trendy retrowave soundtrack. The game sets you the task of beating 50 single-player missions where you’ll amass resources, getting settlers and building edifices that provide benefits to your colony. Once you get to a certain point the PvE makes way for PvP where you can battle other players asynchronously – in other words, they’ll be computer-controlled although the names and properties are those of your opponents. The game still isn’t officially available globally, though it’s been released as a soft launch in certain countries and is now available in APK format through Uptodown, meaning you can install and play it with no limitations regardless of your geographical location.